Before lawn tennis there were various tennis type games played with leather and wood balls mostly indoors. Some accounts claim that by the 13th century there were as many as 1,800 indoor “tennis” courts around the world. Indeed, court tennis became so popular with members of the clergy that several members of the Church, including the Pope, and King Louis IV, tried to ban the game, although to no avail. This type of game survives to this day and is known as Real Tennis. In 1850 Charles Goodyear invented a process for vulcanising rubber which meant the material could be used to make tennis balls significantly bouncier. As a result, tennis could now be played outdoors on grass laying the foundation for modern tennis. In London in 1874 Major Walter C. Wingfield patented the rules and equipment for a tennis style game played on grass which he called Sphairistike, the Greek for ‘playing at ball.’ Wingfield’s court was shaped like an hourglass and much shorter than the modern court. The ubiquity of croquet at the time meant there was a ready supply of smooth outdoor courts, which proved easily adaptable for tennis. Indeed, the marriage between croquet and tennis was properly cemented when the Wimbledon All England Croquet Club decided to hold the first tennis tournament in 1877 to raise money to fix a broken roller at the club. 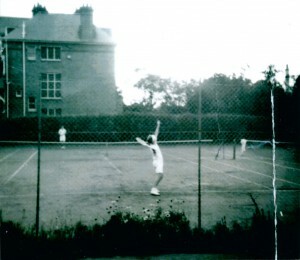 The organising committee ditched Whitfield’s hour glass shaped court, opting for a rectangular one instead, and introduced a set of rules that are essentially the current rules of tennis. The Wimbledon tennis tournament proved very popular and evolved into the most prestigious tennis event in the world. The club quickly changed its name to the All England Croquet and Lawn Tennis Club. Grasshoppers Lawn Tennis Club was first established in Brighton, well Hove actually, in 1881 based in a private pleasure ground, which later became known as St Anne’s Well Gardens which makes Grasshoppers one of the oldest surviving lawn tennis clubs in the country after Wimbledon. It seems the club took its name from Grasshopper cottage (see picture right taken on February 1912) a dwelling within the 2 acres the club rented where the gardener lived. The club used a couple of its rooms as changing rooms. The proceedings of the All England Tennis Association mentioned the Grasshoppers club in 1895. We found a note that in June I906 in the third round of the Sussex Country inter-club competition, the Grasshoppers beat Horsham by I3 sets to 6 – 98 games to 56. 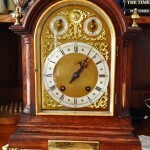 Also in this year there is a mantle clock (made by Winterhalder & Homer) inscribed “presented to William F Gaylard Esq by the members of the Grasshopper Tennis Club 8th September 1906”. 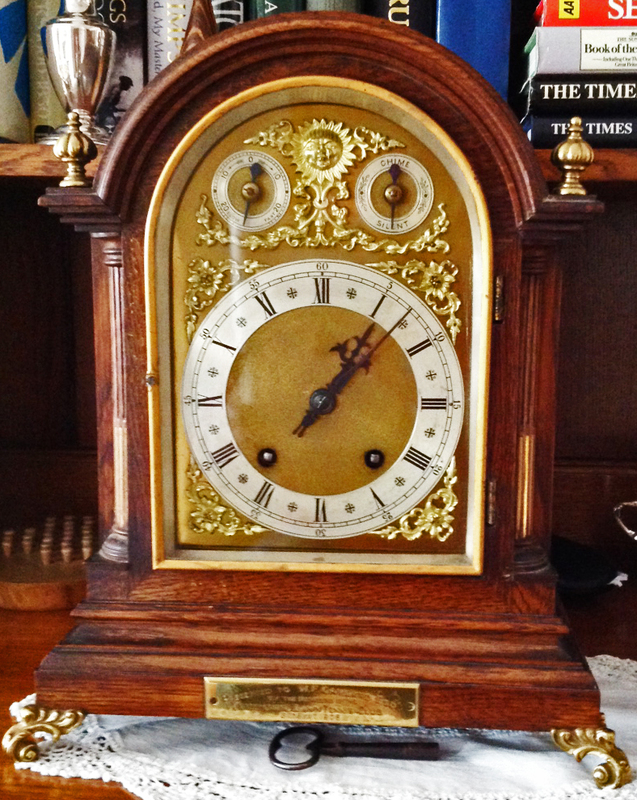 we don’t know who he was and why we gave him a clock, he was 36 at the time. 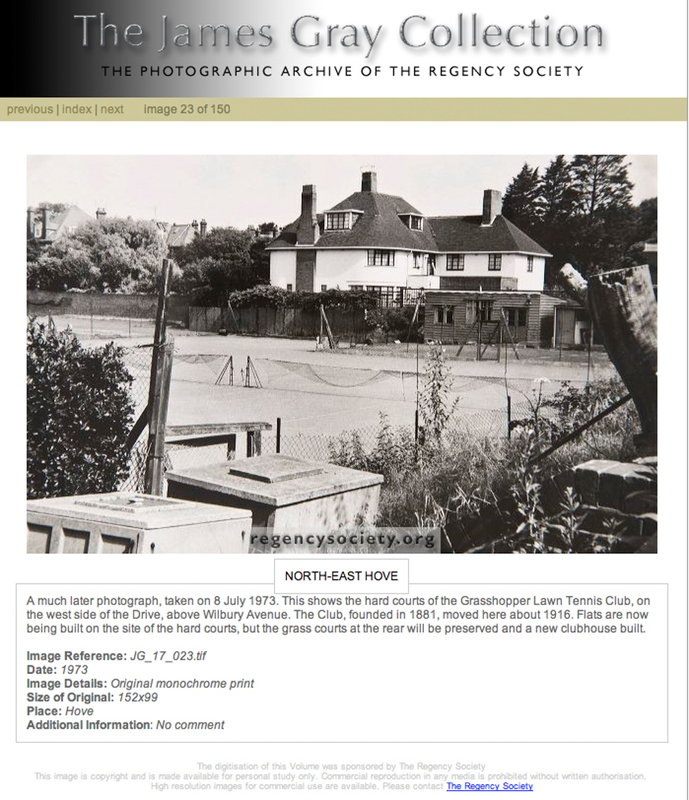 When Hove Council bought the land in 1907 they agreed to pay the club £60 for “the two dressing houses, tools and other articles” but in April I908 Grasshoppers were refused the exclusive use of the three Western tennis courts and dressing room. In around l9l6 Grasshoppers moved from St Ann’s Well Gardens to a new site in The Drive. The land had been used for allotments belonging to the Clark’s family who farmed and ran a bakery on Fonthill Road. The Clarks were sympathetic towards the tennis players and agreed to lease them the land. 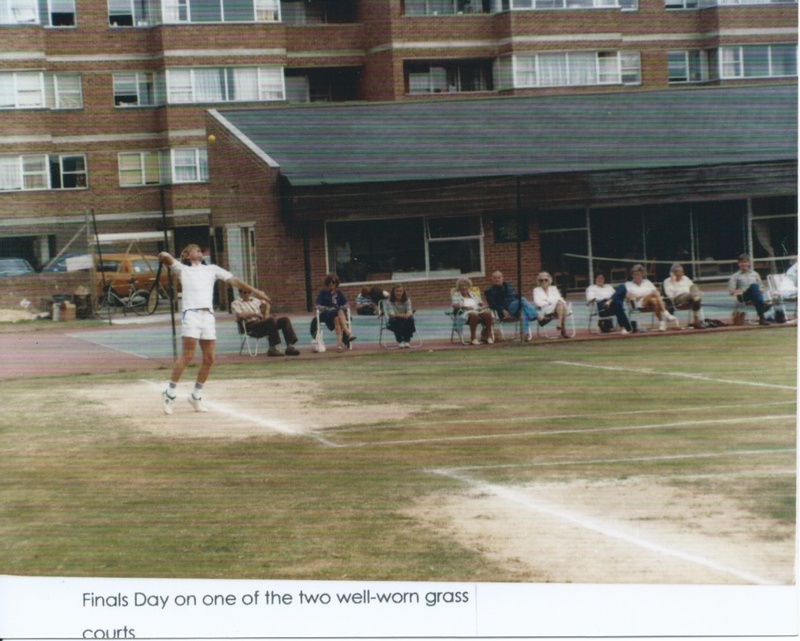 The picture on the right shows the old red sand clay courts (before the current club house was built). Next door on the north side was the grand house belonging to the Horton-Ledger family, part of the Stiles Horton Ledger Estate agents. Mike and Pam Horton-Ledger were members for many years but they were less than enchanted when the occasional tennis ball sailed over their high wall which they did threw back occasionally but members were not allowed to knock on their door! The tennis players were such a keen bunch that they kept on playing through Remembrance Sunday when other people were rigorously observing the two-minutes silence. All was quiet at Hove save for the ping of ball on racket emanating from the Grasshoppers. 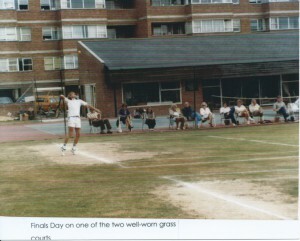 In these days there were 3 red clay courts and 3 hard courts fronting The Drive. Claude Pascoe was elected chairman of the club in 1956. In the 1960’s members had just a green shack as a changing room and a wooden shed / chalet as a club house. The picture on the right from the James Gray Collection taken in July 1973 shows the hard courts which were later replaced by a block of flats, called Grasshoppers Court (now called 87 The Drive). These flats were built by Anston Properties who, in return for acquiring the land for the flats, built our current club house. 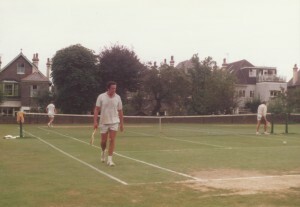 The three grass courts behind them were retained. 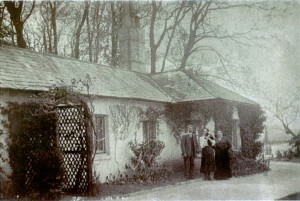 The Horton-Ledgers’ old house has been lost too and is now the block called Homedrive. The next picture on the right shows John Edwards in a final with spectators including from the left Anthony Vokins, Muriel Anderson, Claude Pascoe with his wife Mary, Shirley Cullen (multiple cup winner) and her husband Stuart. We are not sure when this mens final was as John won most years from 1964 until 1985! In 1970 our annual exchange with Dieppe started which formed an important part of the club’s calendar for many years – more details. The picture on the right is the 1974 mens final which A Vokins (walking towards the camera) won. Older members may remember the Vokins department store on North Stree. The trees in the background were quite small then. 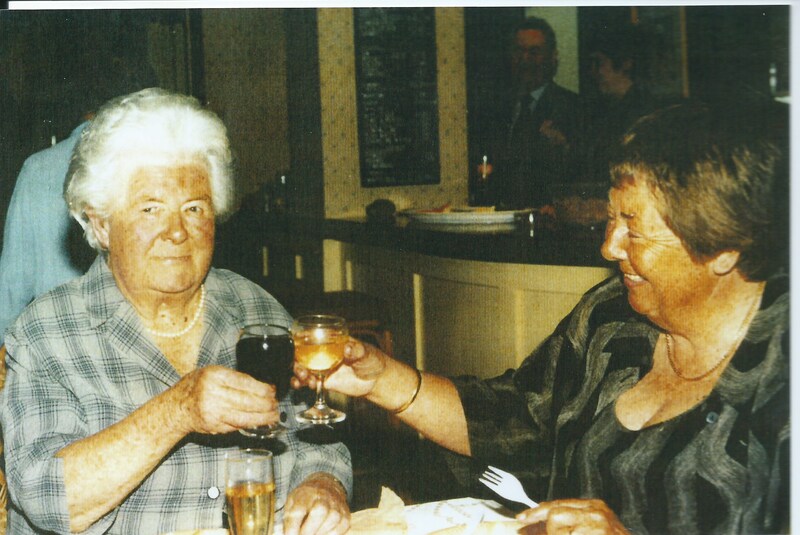 In l981 Julie Hobbs (shown on the left in this picture with her daughter Jane) retired after running the club for some 40 years and she was presented with a pearl necklace, possibly the one she is wearing in the photo. Julie was the daughter-in-law of the great English cricketer Sir Jack Hobbs. She had hired the clubroom for her 80th birthday party. In Peter Jame’s obituary in 2003 he wrote about Julie “She was irascible, an irrepressible snob, an outrageous gossip — but she had one of the hugest, warmest hearts of any human being I have been privileged to know”. She was credited with making the Grasshopper bar the premier bar in Brighton and seemed to be at the club 7 days a week to achieve this! She certainly produced “scrumptious” teas every Saturday and Sunday afternoon and frequently the teas ran into the evening. Cynthia Hannington had by this time taken over responsibilities for teas. By this time the membership had grown to over 200 people but unfortunately the council decided to charge non-domestic rates on club and sport facilities and the Grasshoppers’ rates for the year 1998/99 would be £1,650. The lower picture on the right is the 1982 doubles final between Anthony Vokins and John Patching (shown) who were beaten by Andrew Campfield and Gordon Camping, note the “predominately white” tennis kit and the courts are still grass. In February 1988 members received a letter from the chairman (Rodney Towny) to say we had been offered the freehold of the club’s land for the very generous sum of £17,500 by Mrs Pam Horton-Ledger, at that time we were paying her the nominal rent of £200pa but our lease was expiring in 2003. On 7th June 1988 the club held a special General meeting in the Clubhouse to discuss a new membership category of Life Membership – the sub for a single Life member was fixed at £500 each and a family Life member, husband/Wife & their children under the age of 21 at £1000. The approval of Life members must be at the discretion of the Club Committee. At that time full club membership was £65 per year. 25 members of the club became life members with their families raising £25,000 enabling the freehold to be purchased. Peter Lahaise was the treasurer at the time and must take a lot of the credit for raising the funds. 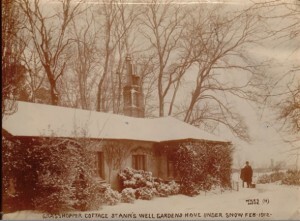 In the spring of I997 the club house was refurbished so that more activities such as bridge evenings and dinners could take place there in the winter. Notable businessman Claude Pascoe was connected with the Grasshoppers for many years and became president. He died in the summer of I999. 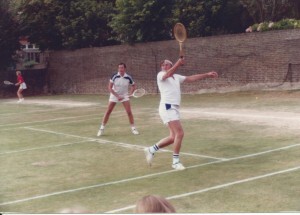 Simon Aldis was chairman in 2000 when the Sunday afternoon sessions were changed to Sunday morning and the “Predominately White” dress code ceased but members were asked to still abided by club etiquette and wear proper tennis kit, shabby tee-shirts and beach shorts were simply not acceptable. T-shirts of a single colour were allowed. It was about this time that the time limit was imposed on the use of flood lights, which could not be used after 10pm. The men’s first team were in Sussex Division 2 and hoping for promotion. Pat Richards coached Relatively New beginners, improvers or refreshers on Monday evenings for £16/hour. Freda ran the bar and was experimenting with selling bar snacks. Her toasted sandwiches were popular but other food did not sell. In 2001 Grasshoppers entered the winter leagues for the first time with a team captained by Richard Clay to add to the 3 mens and 1 ladies team in the summer. Our first mens team was in the second division but about to slip back to the third. It was also this year that the draw for doubles partners in the handicap tournament was introduced. The courts were resurfaced in September 2003 after about 10 years service at a cost of £18,250 plus £23,150 for new floodlights. Temporary lines were painted until the courts were painted the following May. The money was raised by asking for loans from members who would be paid 1.5% over base rate and repaid over seven years. At this stage the power supply was only enough for 2 of the 3 courts to be floodlit at a time. In the event the loans were paid back in a shorter time scale and the club found the extra £4,000 to pay for the extra power supply to light all three courts at the same time . To help raise money bar prices were increased as at this time cider was sold for £1.25 and a large can of larger for £1.50. During this year Anthony Vokins handed over the running of the club bar to Carol and David Bishop. 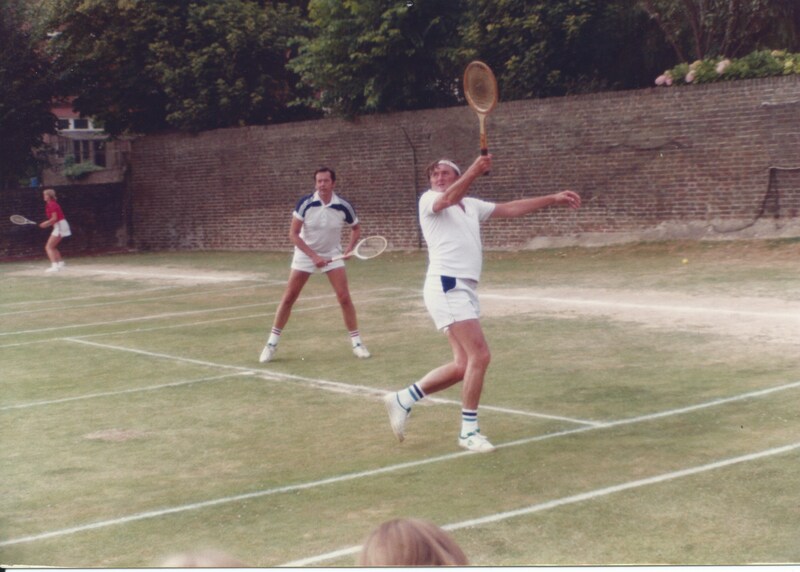 In the winter of 2004 Bob White ran our first floodlit mixed winter tournament to increase the winter tennis played. Until this time evening club sessions ceased after the finals day in September until the “season opening party” in April. In Spring 2005 Chic Channon launched what he called “laugh while you learn” sessions on Friday evenings for beginners. Initially this was only to be over the summer months leaving him free for his Brighton Squash Club duties over the winter. Fortunately for the club but unfortunately for Chic these Friday night sessions proved so popular that they have carried on even since providing a stead stream of new members to the club, interestingly predominately female. In fact for a while they were so popular that they were in danger of being a club within the club. The idea was a joint enterprise with Rob Haycock who volunteered to act as coach on the first sessions. The idea of “Transitional members” did not happen until 2008. Initially this was Thursday night then changed to Tuesday night a few years later. Grasshoppers web site was launched in 2005. Julian Marchant (Jaq Buckridge’s partner) did the initial design, Phil Robinson was the web master. The website was redesigned in 2016 using WordPress. 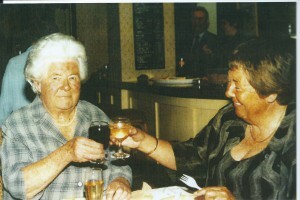 In September 2007 we had a centenary party. 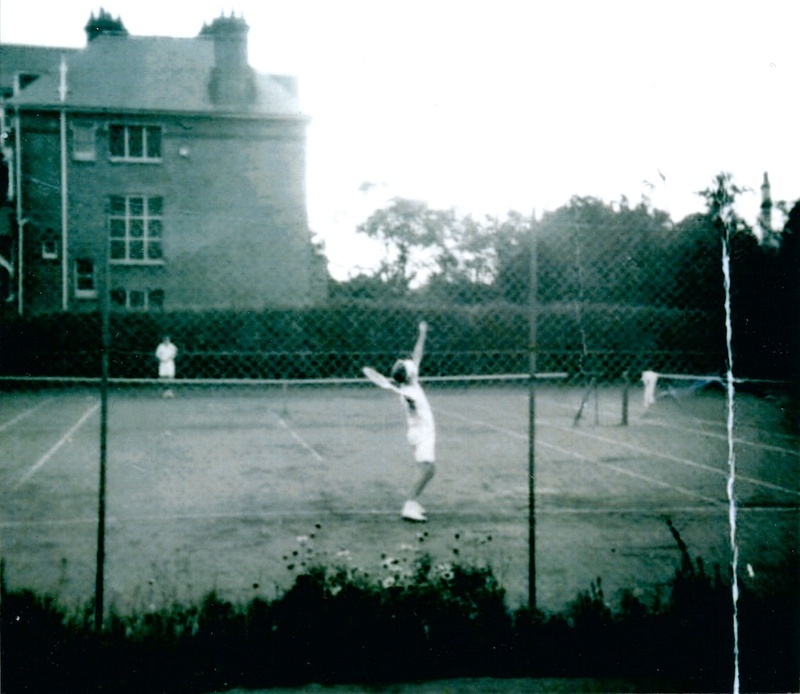 Whilst doing background research for this event Jenny Ferguson discovered that 2007 was the centenary of the Wilbury tennis club, which no longer exists, not Grasshoppers’ centenary at all! In 2009 the clubroom had a major refurbishment for the changing rooms and the new oak bar top. Also in this year Grasshoppers got its own Facebook page.